NOW INTEGRATED WITH HYPACK®! 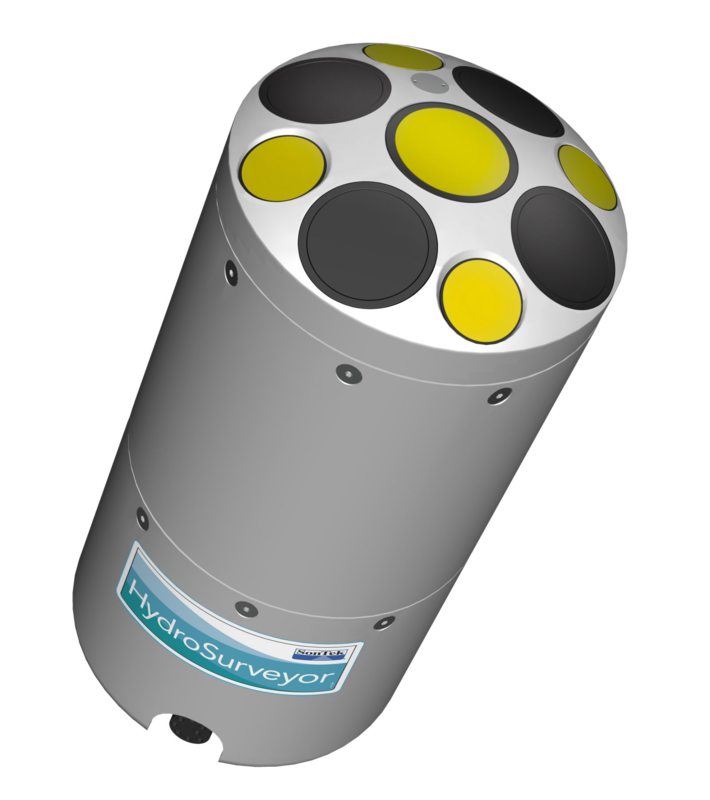 [Learn more] The HydroSurveyor is a system designed to collect bathymetric, water column velocity profile, and acoustic bottom tracking data as part of a hydrographic survey. The two key components of the system are the HydroSurveyor Acoustic Doppler Profiler (ADP®) platform, and the powerful, yet user-friendly, data collection software. With the HydroSurveyor platform, SonTek is able to offer an exclusive 5-beam depth sounding device, with built-in navigation, full water column velocity (currents) profiling, full compensation for speed of sound (with the CastAway-CTD), and integrated positioning solution.